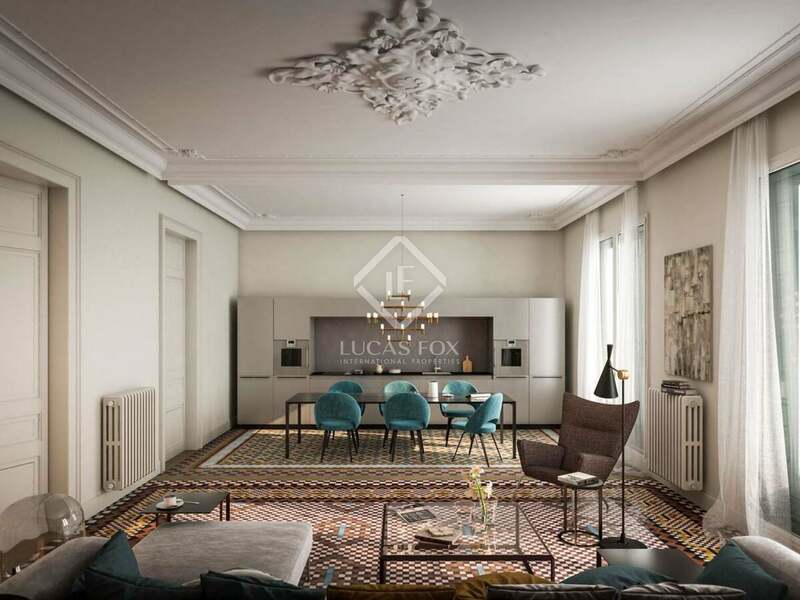 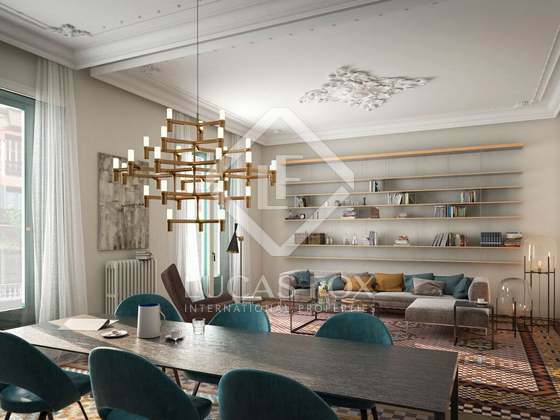 Exceptional 2-bedroom property in a unique residential development with more than one hundred years of history and superb communal services, including 2 swimming pools. 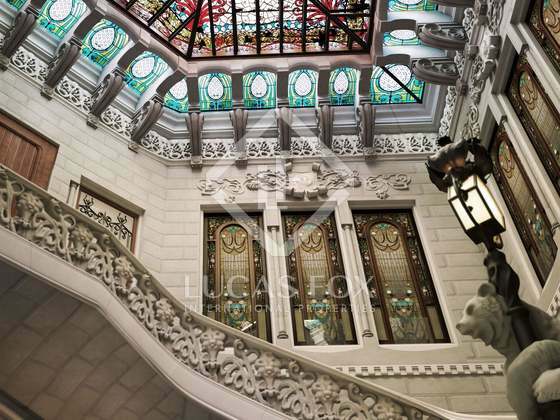 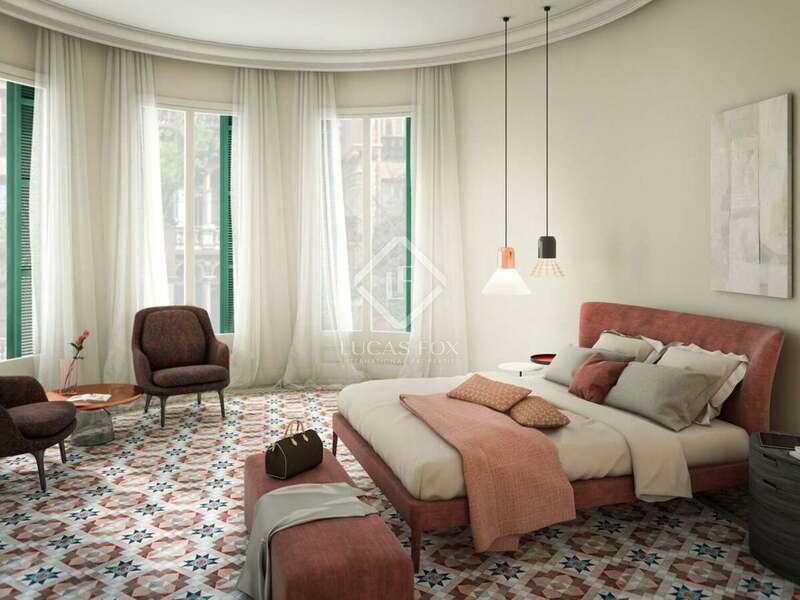 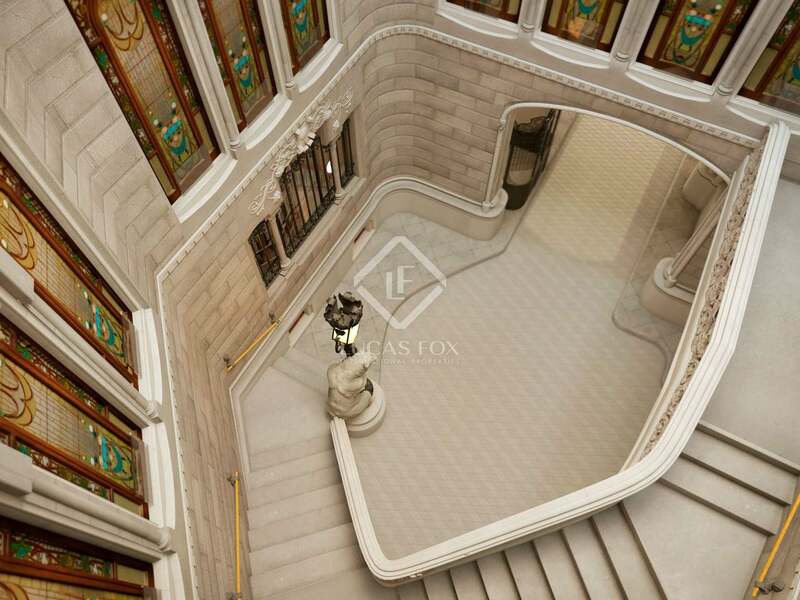 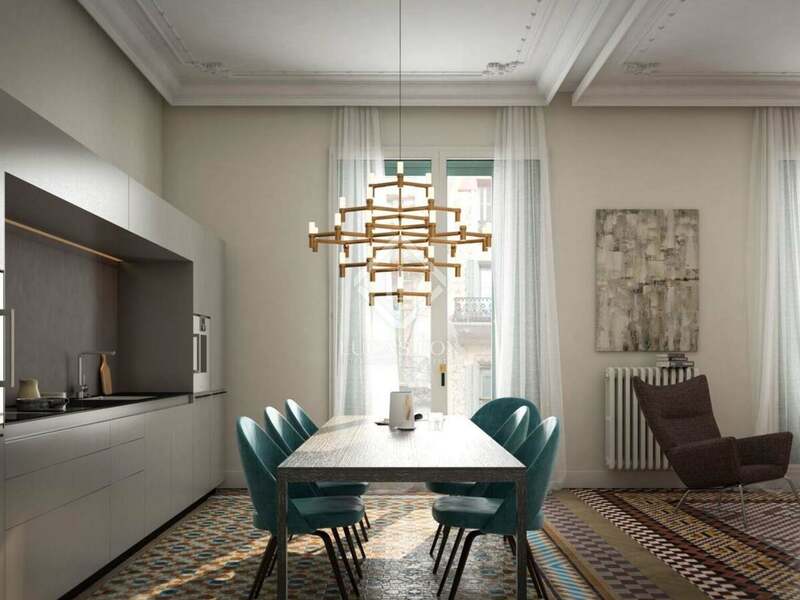 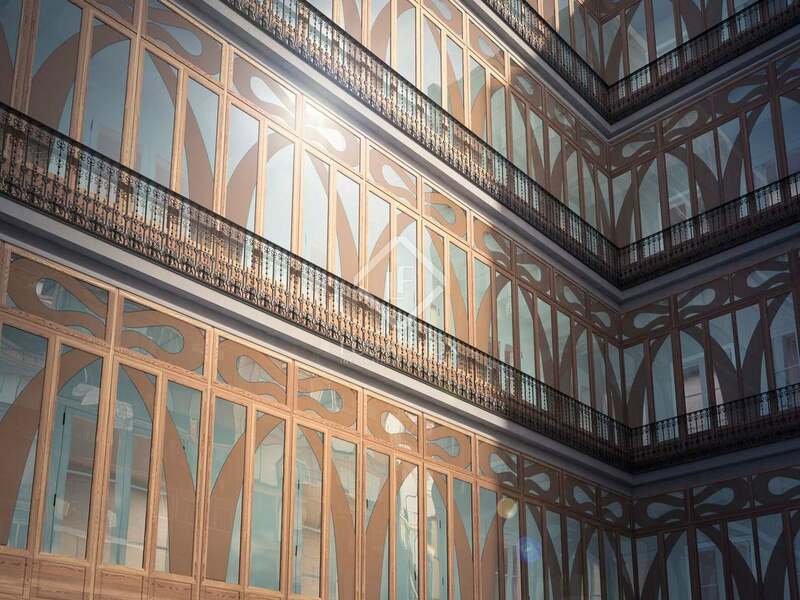 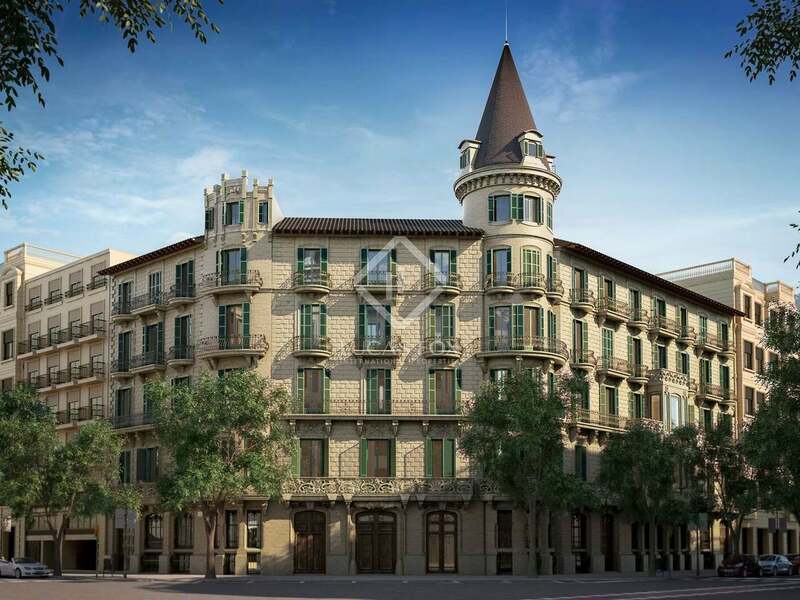 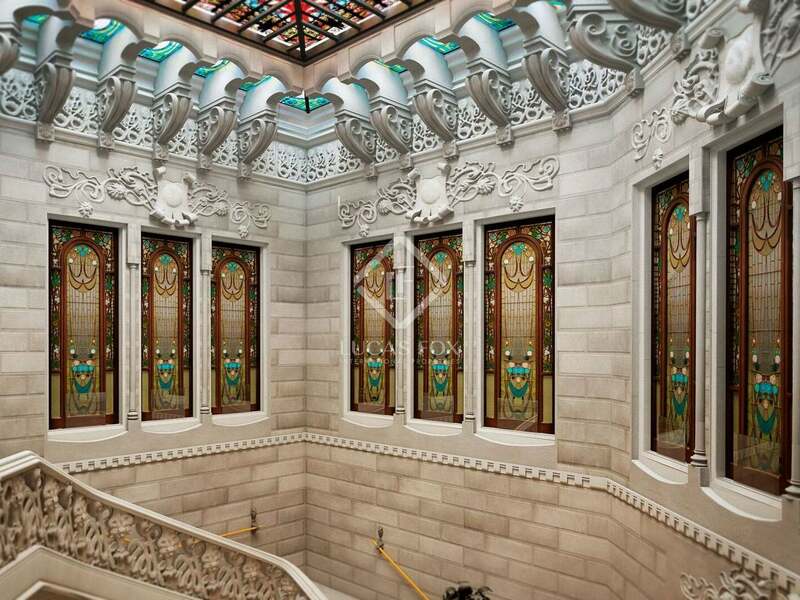 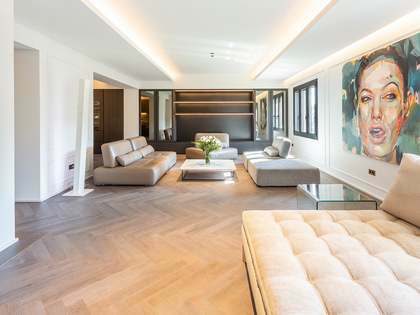 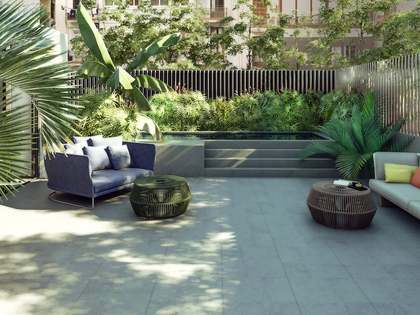 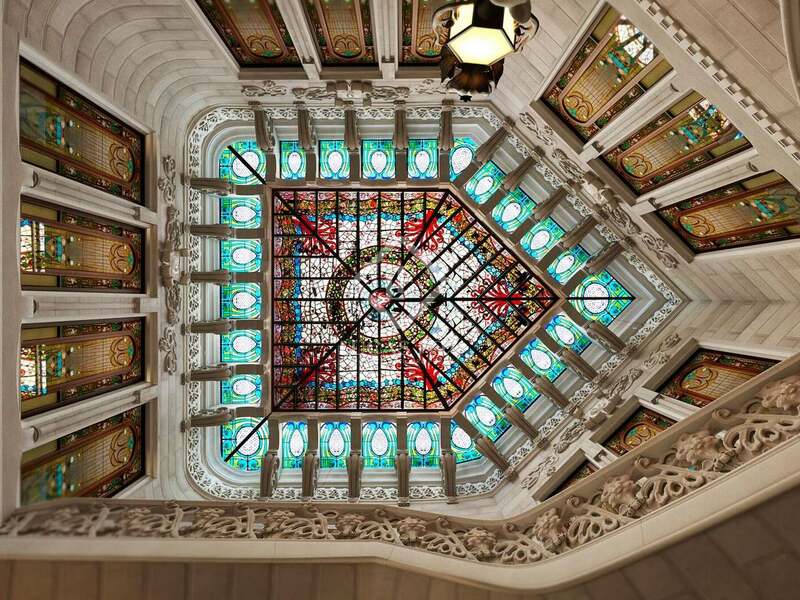 Built between 1900 and 1905, Casa Burés offers the possibility to acquire a property in Barcelona's Eixample district in one of the world's most impressive and best preserved Modernist buildings. 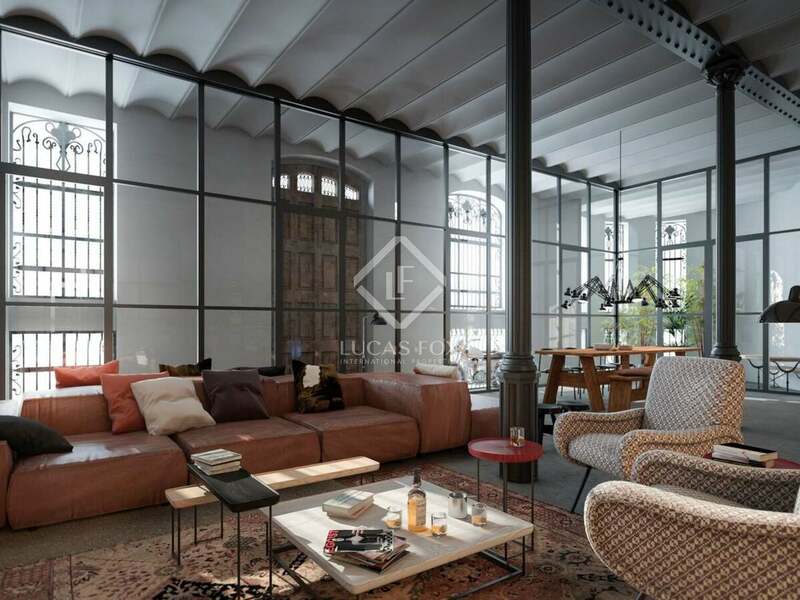 This particular property is located on the second floor (third real height) and measures 145 m². 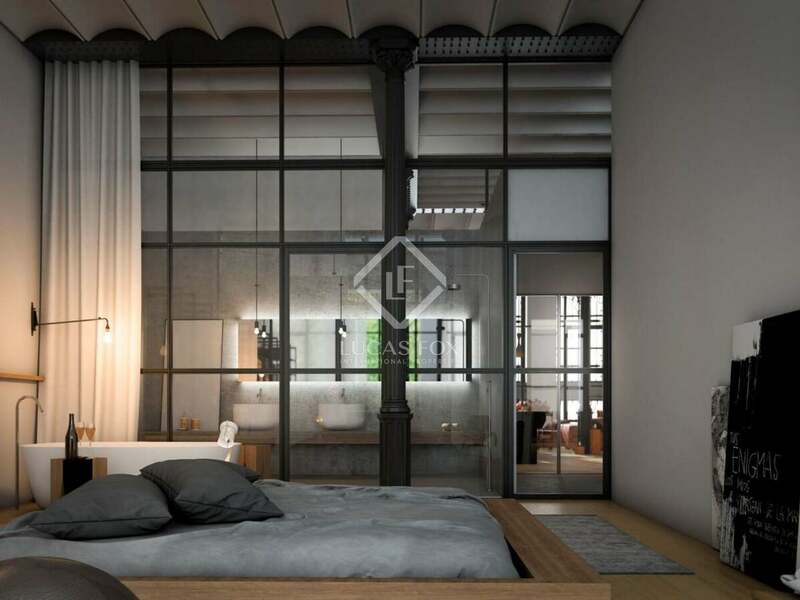 It has an open plan living room – dining room and kitchen, 2 double bedrooms with balconies and 2 compete bathrooms. 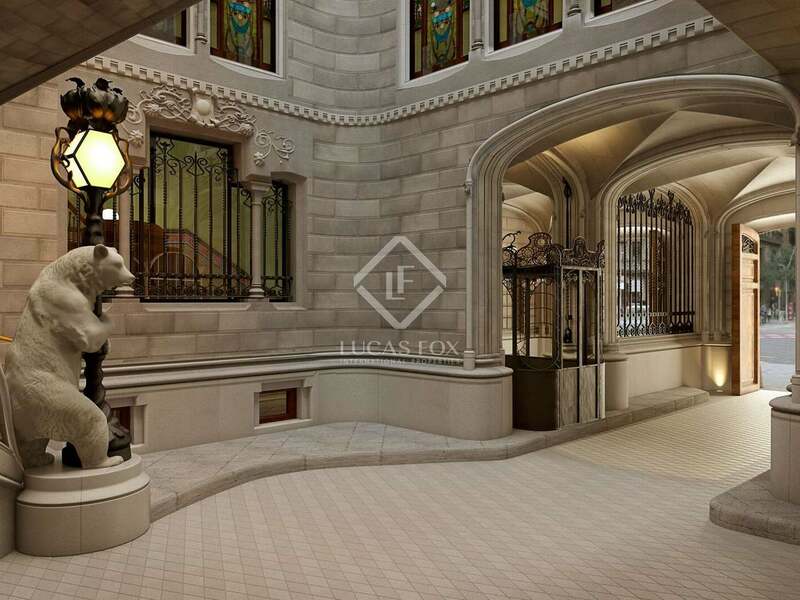 An exceptional standard of living is offered throughout the year at Casa Burés.